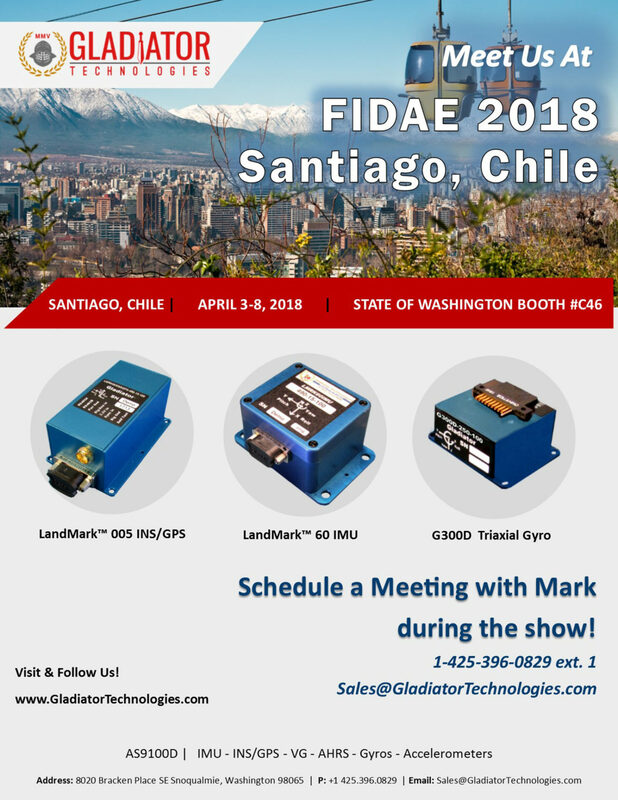 Gladiator Technologies will be attending FIDAE 2018 in Santiago, Chile April 3-8. We’ll be presenting our new SX Series of low noise, high performance MEMS inertial sensors and systems. Come and visit us at Booth #C46 or schedule a meeting at sales@gladiatortechnologies.com.